Let’s face it — people love Craps. They love taking part in rolling the dice, as well as just hanging out at the table while observing the fast-paced play. 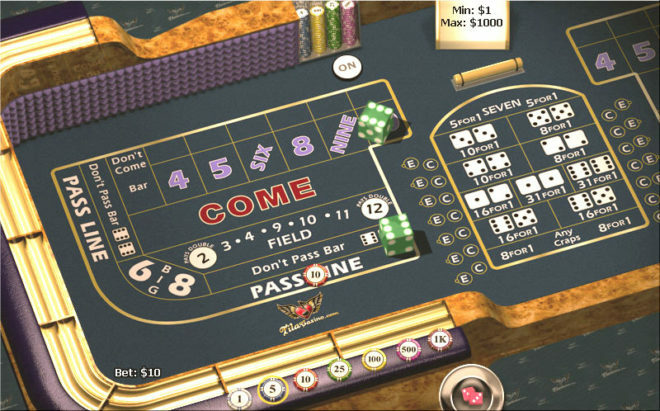 Craps players love to soak in the adrenaline-pumped atmosphere that surrounds this wildly exciting gameplay. All of this excitement and the rush surrounding the Craps gameplay makes Craps table an inevitable stop for every casino visitor. Here, we are going to remind you of some of the most amazing dice rolls in the history of this casino game. But let’s go back to the roots to see how it all started. The game of Craps first appeared in Europe, and some people believe that its origins can be traced way back to the time of the Crusades. However, we don’t have to go that far because the modern version of craps moved from London streets to the streets of New Orleans. This all happened in the 19th century, and the game never lost on popularity since then. Craps seem like a simple rolling of the dice where players can either play against each other, or they can roll the dice against the dealer. The first one is the street variant, and the latter is the casino version. 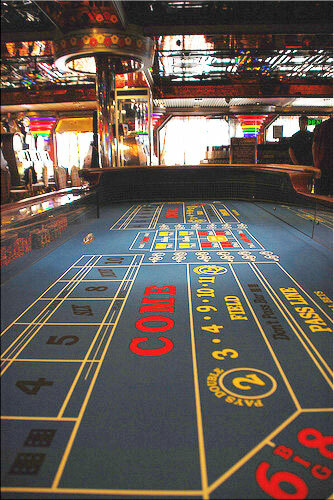 The most common version of Craps is the one you can find in most casinos nowadays. The fact that the Craps outcome relies entirely on luck, it seems anyone can win it. This is one of the main reasons why it is so attractive to gamblers. 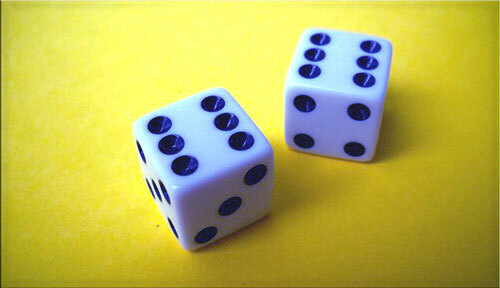 Another reason that players like to roll the dice is a low house edge on craps. For all these reasons, the Craps tables are the most crowded spots in casinos. Before I dedicate the rest of this article to the Craps recorders, I would like to state a fact about this game. 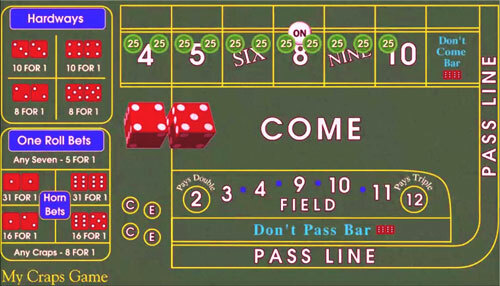 Even though many people think that Craps is based on trivial throwing of the dice, there are numerous betting options and possible combinations for players to learn. These options can help players get some edge in this game, and win real money playing it. That’s why novices at gambling tend to avoid craps table despite all its favorable features I mentioned above. This seems to have not affected the decision of Patricia Demauro, to stand at the Craps table for the second time in her life, and take a roll or two. Patricia is the protagonist of our story. What started as a beginner’s luck, soon turned into one of the longest Craps rolls in history. This lady managed to throw the dice 154 times in a row. When she finally stopped playing she collected her winnings and left the Borgata Hotel Casino and Spa like nothing spectacular happened. Although she never revealed the amount of money she won while making gambling history, it is believed that this could be over several hundreds of thousands, since she entered the game for $100 in chips. By playing Craps for 4 hours and 18 minutes straight, Mrs. Demauro beat the previous record for the longest Craps roll set in 1989. The gentleman who set this record is our next hero. As the legend says, Mr. Stanley Fujitake of Honolulu was a regular at California Hotel and Casino. This casino focused on providing excellent gambling services to the Hawaiian by making them feel at home. The owner’s effort to attract numerous islanders was soon recognized since The Cal, as the customers like to call it, was packed with people who wanted to enjoy gambling on a free territory. Our fascinating story started in 1989, at California Hotel and Casino, when Mr. Fujitake dropped by for a regular night of gambling. He placed his $5 bet on a pass line and then the magic started revolving at the Craps table. Stanley Fujitake became a memorable craps player that night by rolling the dice for 118 times in a row. This whole unforgettable gambling experience for all who witnessed it lasted for three hours and six minutes. While he earned around $30K for himself, he also won the additional $750K for other players who bet on him. Many would think that the casino that lost so much money because of one player wouldn’t exactly make that him a hero, but the owner of the California Hotel and Casino was a witty businessman who turned the whole story into great marketing. He founded “The Golden Arm” club with an apparent reference to Mr. Fujitake’s incredible achievement. Every player who managed to play Craps for over an hour would become a member of this club. There is still an annual tournament in Craps held in this casino in remembrance of Mr.Fujitake and his incredible winning streak. If you enjoyed these spectacular success stories, and you would also like to try rolling the dice, here are some funny rituals that numerous superstitious Craps players do to make sure luck will be on their side. There is a common belief that says you have to find a pretty lady to be by your side and blow over the dice before you throw them. You must have seen this scene in various movies and TV shows. Naturally, none of these work in real life. People make things like this up to justify the losing streak or a bad day at the casino. The truth is that these superstitions do not bring them any luck whatsoever. If you like the idea of challenging the longest winning streak of 154 rolls, bear in mind the average number of consecutive throws of the dice. It’s important to realize that you’ll need loads of luck and some practice at Craps table to break this record. So head to the nearest casino and start practicing right away.